This article is about an alternative method of using AP (access point) mode for the BroadLink® controllers and sensors for operating our blind motors, skylight/window openers, smart film, drapery motors, and many other devices. It is very unlikely that you will need to use the wifi pairing method described on this page; the SmartConfig™ works almost every time. If you have not yet attempted to assign your devices using the automatic SmartConfig™ system, you can return to the main starting point for this article series about remote control of blinds, shades, and window openers. The ES-WIFI-5V environmental sensor shown on this page can be used as a trigger to activate a motor (or any other device) when conditions change, such as a temperature/humidity/light level increase or decrease. It has IFTTT (if-this-then-that) capabilities. Please note: the SK1-WIFI-AC Security Kit does not have this mode, you will have to use the SmartConfig™ method. 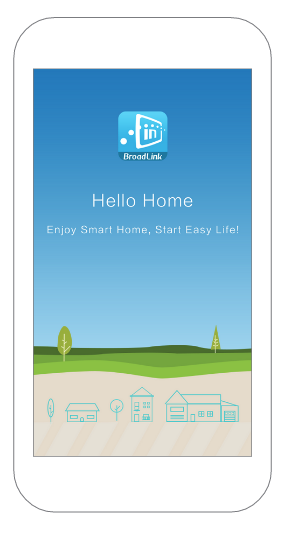 You will need to download and install the BroadLink® app on your phone or tablet (Android or Apple IOS) if you want to continue with these instructions. Please refer to the download instructions for the BroadLink software. When you first open and run the software you have downloaded, the program will detect that you are a first time user and you will very likely be able to use the SmartConfig™ method to simply enter your WiFi ID/password credentials and have it connect automatically. If that works and you get a "successful connection" message, you can skip the AP method described below. 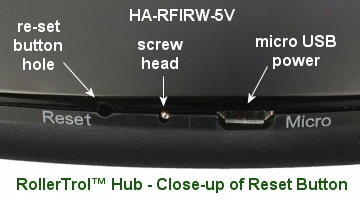 These instructions show how to connect the ES-WIFI-5V environmental sensor and the HA-RFIRW-5V remote control hub to your wifi router using the alternate AP mode (if your SmartConfig™ failed). The SP-WIFI-AC smart plug also uses the same procedure for configuring the wifi connection; all these devices have the same re-set button and flashing LED indicator, but they are in different places. Please Note: If you ever need to re-set the unit to the factory default, you would insert a small screwdriver or paper clip into the setting hole and press (and hold) the setting button until you see the rapid flashing pattern. The SP-WIFI-AC smart plug has an accessible finger-press button. With power applied and the blue LED rapidly flashing, please press and hold the setting button with a small screwdriver or paper clip, until the blue LED flashes slowly. You should be able to feel a tactile "click" when you press the setting button correctly. This action causes it to enter AP (Access Point) mode, and the LED should display a repeating pattern of 4 slow flashes followed by a one second pause. The AP mode is actually the same mode that your WiFi router operates with in its normal configuration. 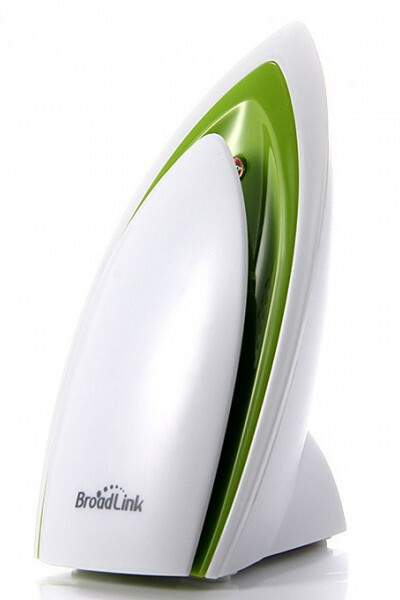 In other words, the device becomes a router that you can communicate with, using your phone, tablet or phablet. You should see it in the list of available WiFi connections, listed as Broadlinkprov (unsecured). Don't connect your phone to it yet unless you have downoaded the software; if you disconnect from your router and connect to the device in AP mode, you will stop your outside connection to the internet. Once the process of pairing the device in AP mode is complete, your WiFi system will revert back to normal. After you select the sensor connection (Broadlinkprov), the app should dispaly another list of available WiFi routers. Please press and select the name of your actual house WiFi network and enter your password (as shown in the picture on right, below). The password of your Wi-Fi network will be saved and you will never need to input the password again when you start up the app, even if you have interrupted the power to the sensor (unless you do a factory reset). 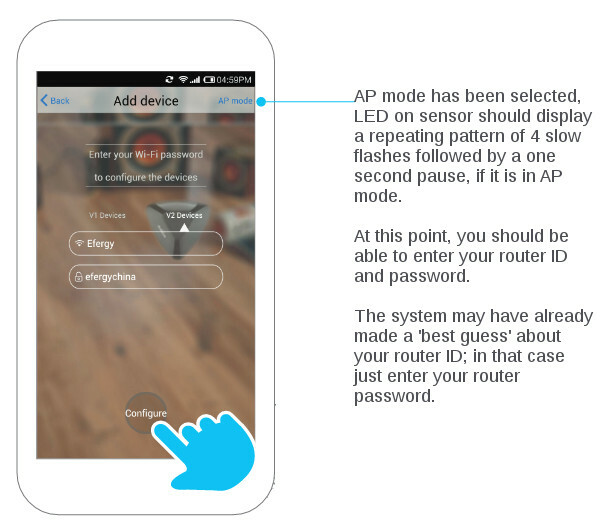 Please Note: Once your device has been paired with your Wi-Fi router, the LED indicator light will blink slowly for a brief period, then it will stay OFF, indicating a good connection (there should also be a screen message in the app, indicating success). If you know how to login to your WiFi router, it will show up on the client list. The device will also show up on the 'Device List' in the app with an icon representing the device as shown in the middle picture below. It will have a default name, but you can select it and change the name to whatever you want. At this point, you have successfully completed the WiFi configuration for your device and you can return to the article to complete the setup of your particular device.